Call us today at (770) 796-3264! 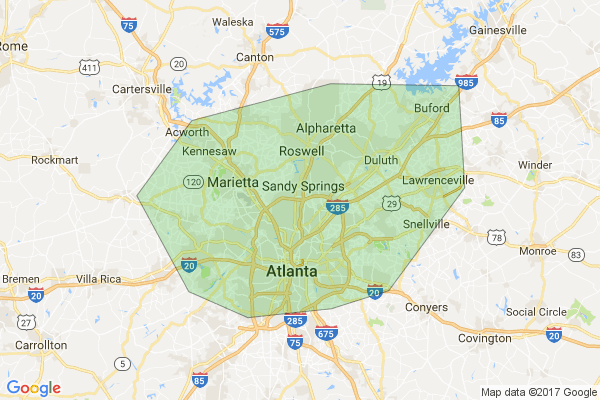 Since 1968, RS Andrews has proudly served greater Atlanta with quality electrician, plumbing, air conditioning and heating services. We don't just do it all, but we do it all with the highest quality standards around. Winner of Consumer's Choice Awards and an A+ BBB rating, RS Andrews has delivered smiles to countless Atlanta-area customers. Specializing in Atlanta electricial repair, maintenance, and installation, our expert electricians will provide you with the knowledge you need to make informed decision about your electricial needs. Plus, you will receive the security of the RS Andrews 100% satisfaction guarantee. RS Andrews has over forty years of experience giving our customers fast solutions, exceptional service, and expert money-saving advice. Call us today at 770-796-3264 for an estimate on Atlanta electrical installation, repair, and maintenance services. Please use this space to tell RS Andrews as much information as possible about your needs. Why Choose RS Andrews as your Electrician? We are on time, or we call if we are running behind. We listen to you and your concerns. Our technician will diagnose your situation, explain his proposed solution in simple, easy-to-understand terms and give you the cost before he begins the work. Employees have undergone a national background check and routine substance testing. If your issue isn't fixed correctly the first time, we will come back until your problem is fixed. Proudly serving Atlanta since 1968. H. Fisher Technician was very thorough and patient in ansewring numerous questions. I really appreciate the info given to help me understand my hvac system.